Many opportunities and challenges are at the intersection of technology and financial services. And FinTech itself is rapidly evolving as businesses continuously innovate and new ideas come from unexpected places. At the same time, government regulators are trying to keep pace. 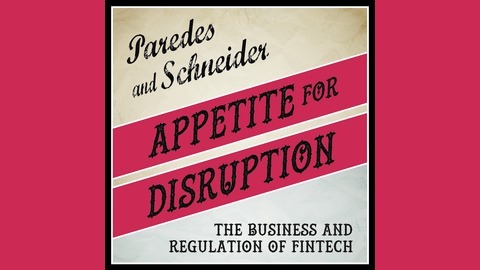 Troy A. Paredes and Lee A. Schneider explore this disruption by engaging the leaders who are changing what FinTech is and how we think about it. 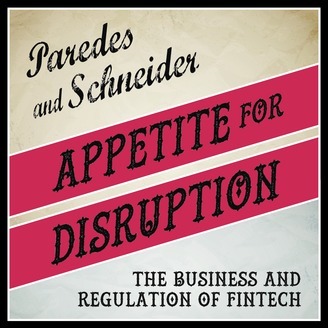 In this biweekly podcast, Troy, former SEC Commissioner and founder of Paredes Strategies LLC, and Lee, general counsel at Block.one and co-founder of Genesis Block, LLC, discuss today’s –and tomorrow’s – exciting and impactful FinTech topics. With their guests, they explore business and regulatory developments and technology trends, giving listeners new perspectives to take back to Main Street, the Hill, Wall Street, and the boardroom. Special Episode: Troy Talks Live with Chris Concannon! Troy interviews Chris live at the Security Traders Association Annual Market Structure Conference to give us more insight into the trading world, AI, blockchain, and other developments impacting our securities markets, financial institutions, and investors. Recorded when Chris was still President and COO of Cboe (before he moved to MarketAxess), Chris gives his usual candid take on things.